We're excited to announce Stephanie Sheh as our latest North American Guest of Honor!! 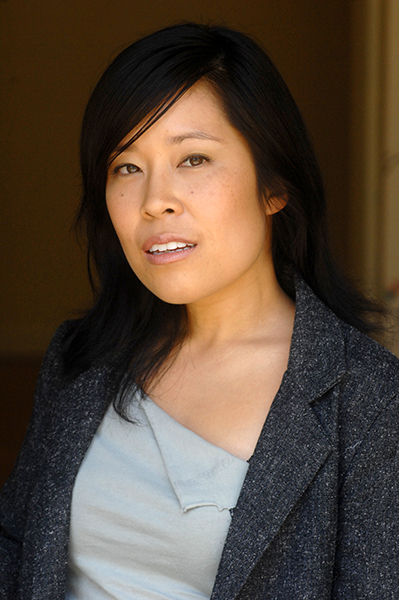 Stephanie Sheh is a voice actress, voice director, ADR writer, and casting director. She was blessed to voice Mitsuha Miyamizu in Makoto Shinkai's hit anime movie Your Name. Recently she voiced Yuho in Masaaki Yuasa's Lu Over the Wall where she got to sing. Stephanie's probably most well-known in the anime realm for voicing Sailor Moon in the current VIZ Media Release of Sailor Moon and Sailor Moon Crystal, as well as Hinata in Naruto, Orihime in Bleach, Yui in Sword Art Online, Kuro in Blue Exorcist, and Mineva in Gundam Unicorn. Stephanie is excited to be returning to voice Eureka in Funimation's release of the upcoming Eureka 7 movies. In addition to anime, Stephanie has many voice credits in video games, most notably Tharja in the Fire Emblem series, Airy in Bravely Default, Mikan in Danganropa, Kyrie in Devil May Cry, and Rebecca Chambers in a number of Resident Evil games. She's also done motion capture work for games as well as animation. Most recently she mocapped Maz Kanata in Star Wars Battlefront 2. Stephanie has also voiced characters in original animation shows like Zhuli in Legend of Korra, Katana in WB's DC Super Hero High, Jinafire and Boolittle in Monster High, Share Bear in Carebears: Welcome to Care-a-lot, Vega in Disney's Stardarlings, Popo in Miles from Tomorrowland, and various roles in Cartoon Network's We Bare Bears. In between voice jobs Stephanie casts, directs, and writes. She recently cast the highly anticipated Batman Ninja for Warner Bros and Hanazuki an adorable web series being produced by Titmouse Animation for Hasbro, that you can watch for free online. She's the voice director for the OAV series Gundam the Origin as well as the gritty Gundam Thunderbolt. Stephanie looks forward to meeting everyone at the convention. She hopes to create amazing fun new memories and inspire people to be the best version of themselves they can be. But the most important think you should know about Stephanie is, she loves dogs.